"The police were called immediately, and the suspect's vehicle was blocked." However, despite the police actions, the attacker hit Ambassador's car again, "the Ukrainian Embassy said in a statement. "In response, the police were forced to open a fire on the perpetrator's vehicle." The London Metropolitan Police said "armed and unarmed officers were deployed" to the scene at 8:30 I am (3:30 AM ET) after "reports of a car in a collision with a number of parked vehicles near the Ukrainian Embassy." She added that the man was arrested after a vehicle was driven to police officers. 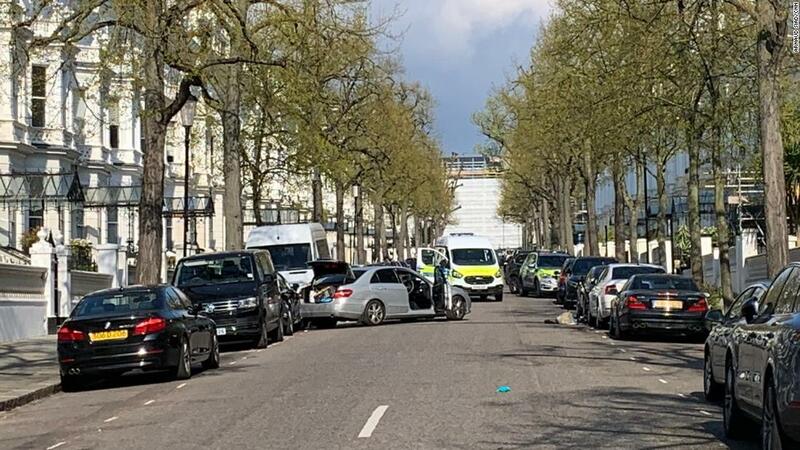 "He has been taken to a central London hospital as a precaution," the statement said, adding that the man had not been injured. Police said the incident was not treated as terrorism-related. The Ukrainian Embassy did not confirm if anybody was inside the ambassador's vehicle at the time but confirmed no one was injured.